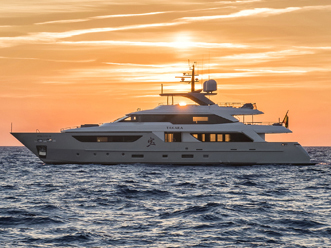 This luxurious tri-deck 38m Sanlorenzo SD112 yacht has an exquisitely bespoke interior and sleeps up to 10 guests in 5 cabins. From €145,000 per week or €24,100 per day. A perfect yacht for cruising the mediterranean. She sleeps 8 guests, has large relaxation areas and lots of aquatic toys. From €31,000 per week, daily rate on request. 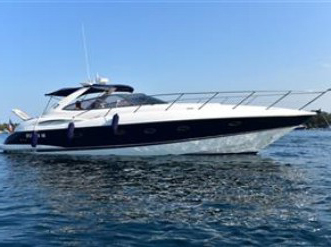 A pristine example of the Sunseeker Predator 82 model with imposing exterior lines, performance cruising and impressive space. 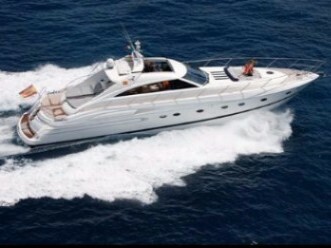 From €28,800 per week or €4,800 per day. 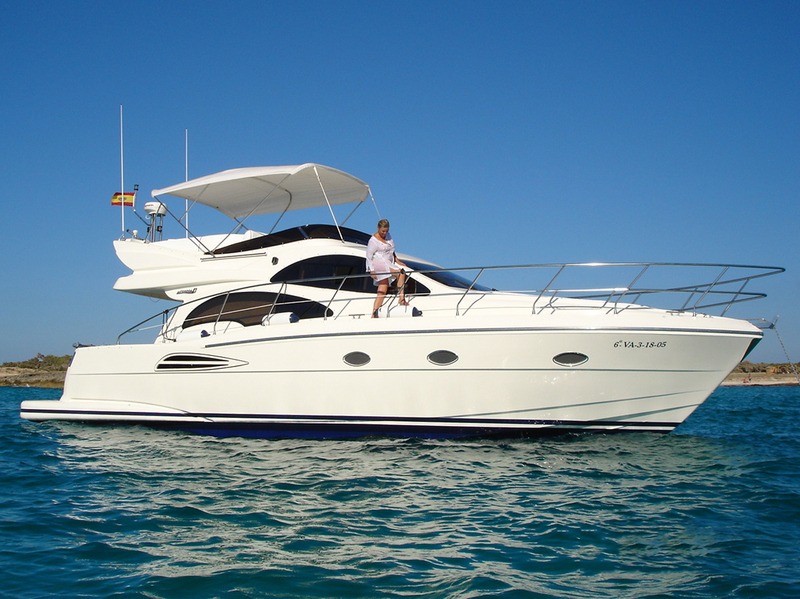 This 25m yacht offers functionality, impressive speeds, zero speed stabilisers and an elegant modern interior design. From €43,500 per week or €6,500 per day. 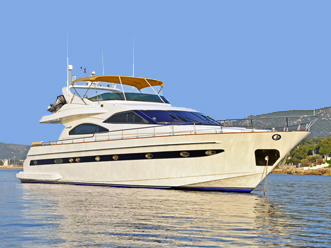 A beautiful Princess 23m motor yacht, can accommodate up to 8 guests and is fully air conditioned throughout. From €27,500 per week or €4,000 per day. 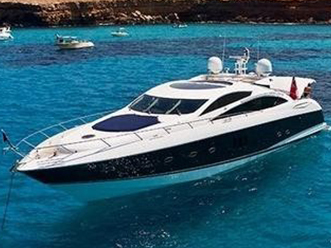 This 22m Astondoa motor yacht has excellent sea handling characteristics and a modern design. From €23,500 per week or €3,400 per day. 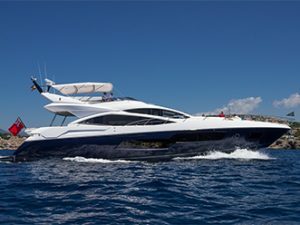 This Astondoa 68 GLX flybridge yacht allows comfortable cruising and accommodation for up to 8 guests. From €13,590 per week or €2,265 per day. 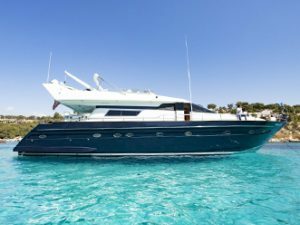 A 20m Princess sport yacht which combines outstanding performance with superyacht levels of sophistication. From €20,000 per week or €2,950 per day. 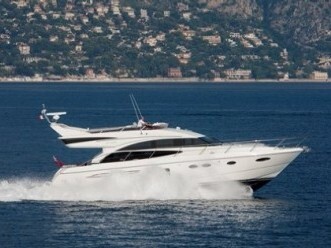 A luxury 19m Princess motor yacht. Full air-conditioned, she sleeps 6 people and can accommodate 12 for day trips. From €11,000 per week or €1,600 per day. 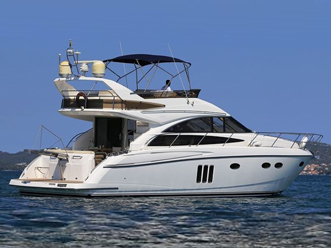 This 16.7m Princess flybridge motor yacht has a spacious interior, 3 cabins and 2 bathrooms. From €10,800 per week or €1,800 per day. 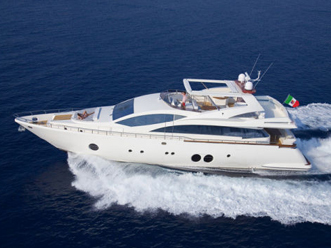 An impressive 14m open sports yacht offering maximum space for optimum relaxation. From €6,000 per week or €900 per day. 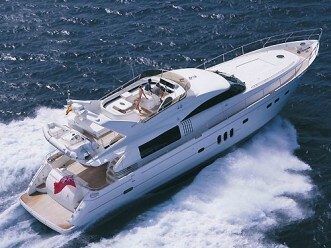 This 14m flybridge yacht is the perfect choice for Balearic cruising. She sleeps 4 guests in 2 cabins. From €6,500 per week or €1000 per day. 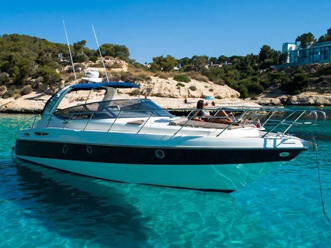 This sporty 12.5m open yacht is well equipped with toys and enjoying the Balearic coastline. Sleeps up to 4 guests. From €4,812 per week or €802 per day. 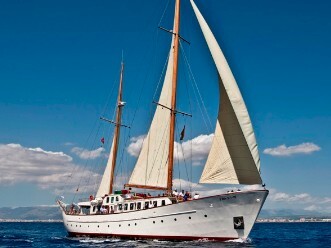 Built for the British royal family and previously owned by Frank Sinatra, she sleeps 10 or accommodates 65 by day. From €29,000 per week or €5,200 per day. 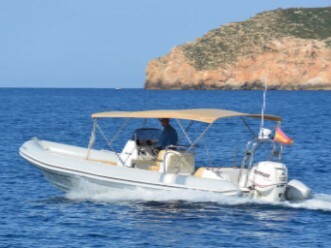 This comfortable 8m rib has a top speed of 40 knots with plenty of seating for guests under a large bimini. From €400 per day, multiple day packages available. opportunities for our valued clients. Contact us below to arrange the charter itinerary of your dreams.